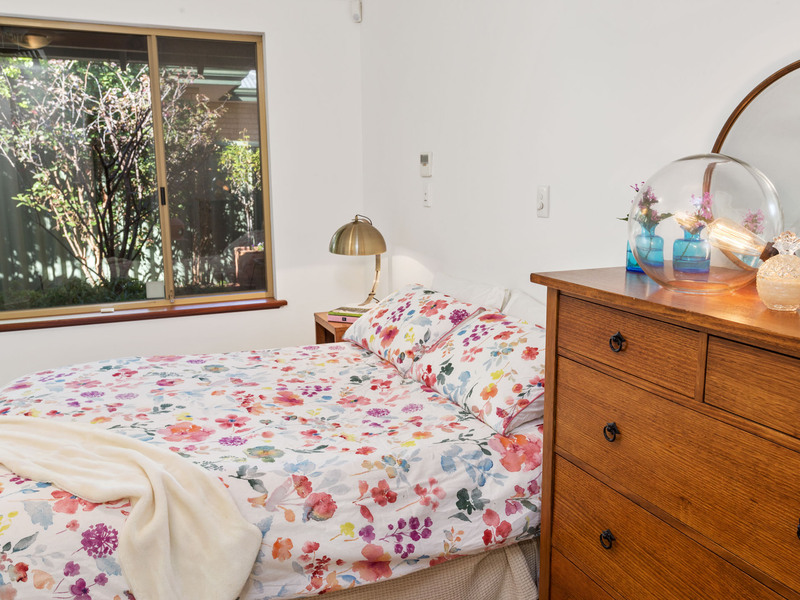 Tucked away in a quiet part of one of Mount Hawthorns favourite streets, this lovely rear home is set on its own 420sqm block. 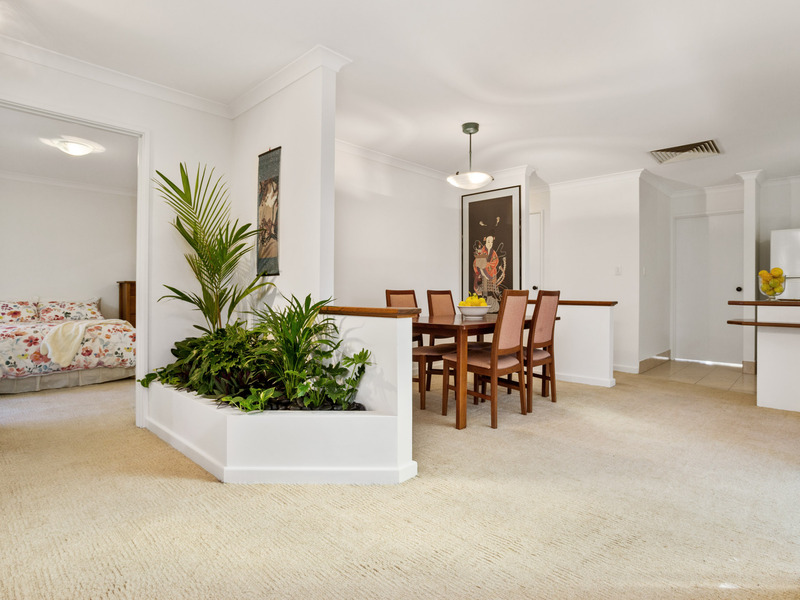 So leafy and green this home sits quietly amongst established gardens, it will be sure to surprise with its possibilities. 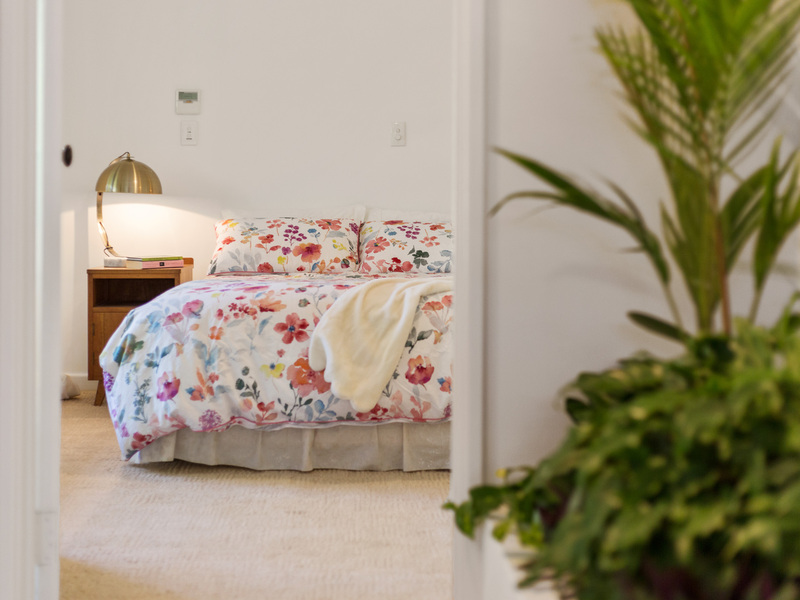 You will be delighted by this hidden gem. 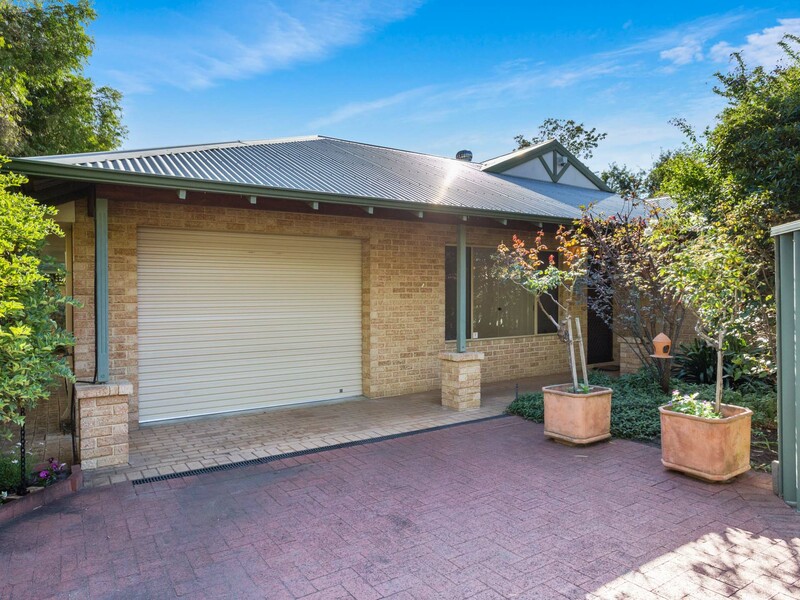 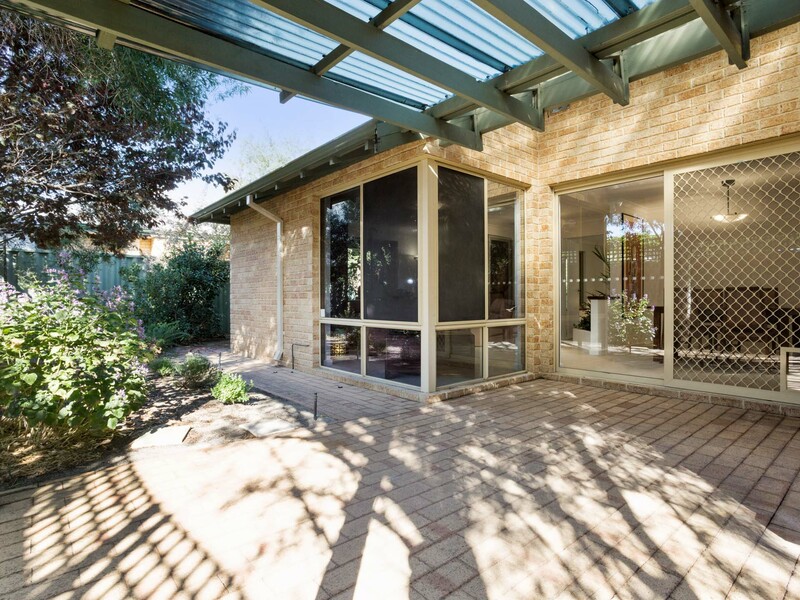 Built in 1990 this home is sheltered by trees, peacefully nestled in the established reticulated gardens, the avid gardener will love to potter in this space. 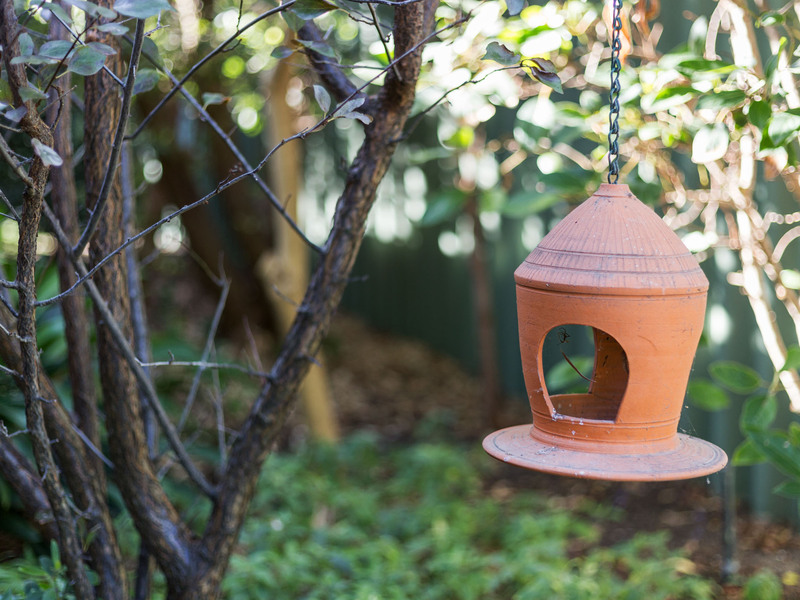 There is room a plenty for any garden project that your heart delights. 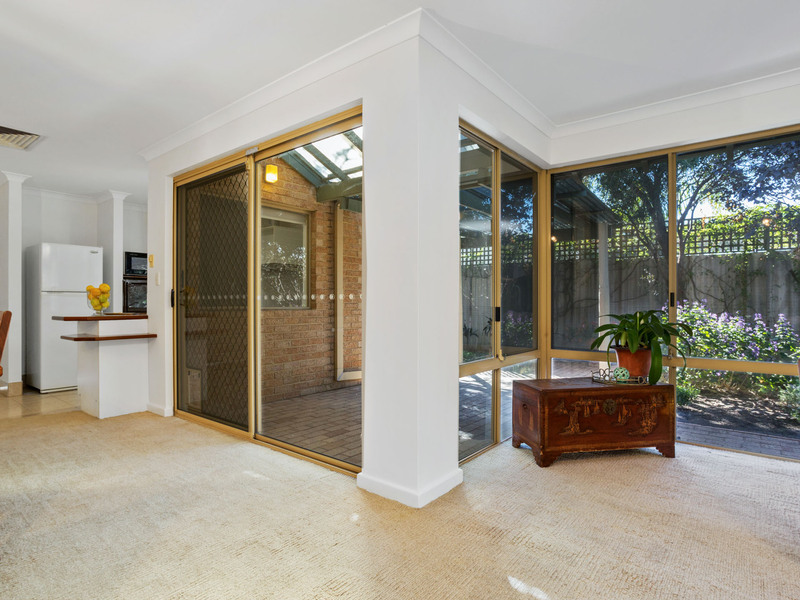 On entry you will notice the generous sized windows most specifically the spacious corner window which looks out onto what could be your alfresco entertaining area. 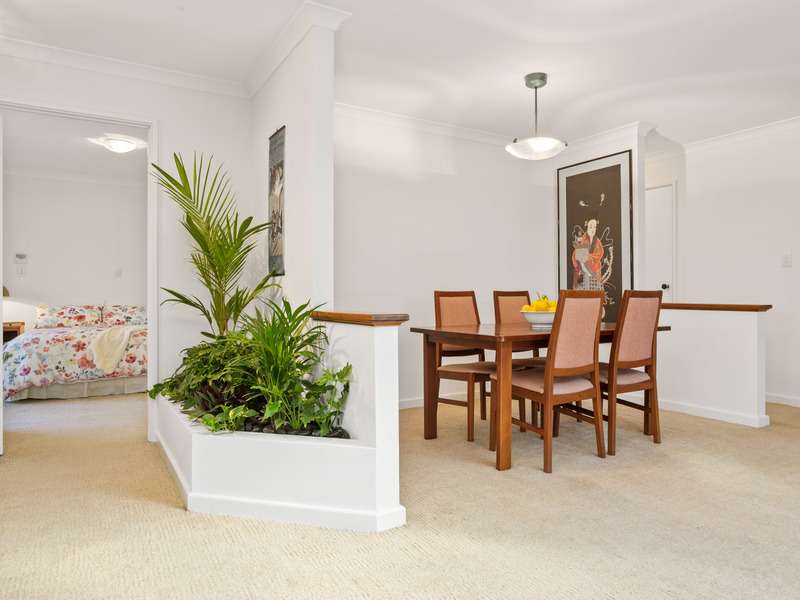 You will also notice a quaint plant atrium as you enter the home which leads to the living and dining space. 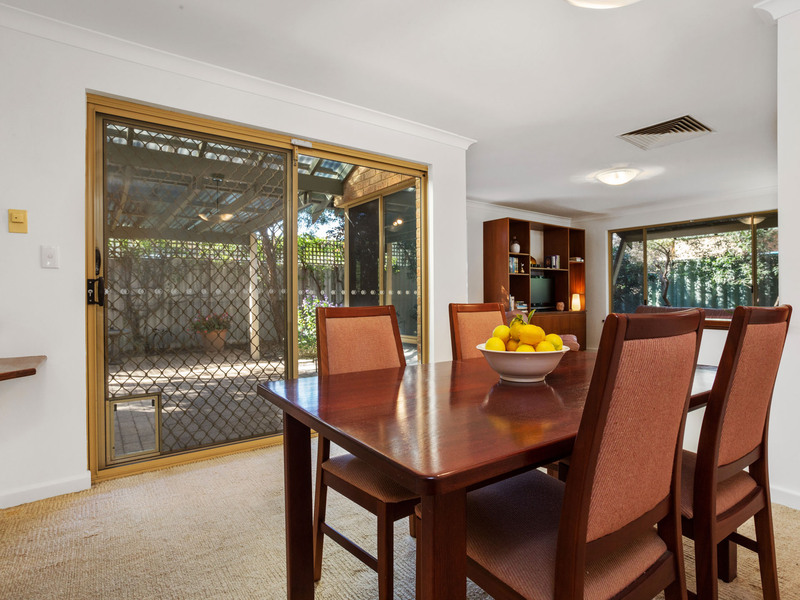 Practically designed for ease of living the family/dining space flows through to the kitchen and outside onto the patio. 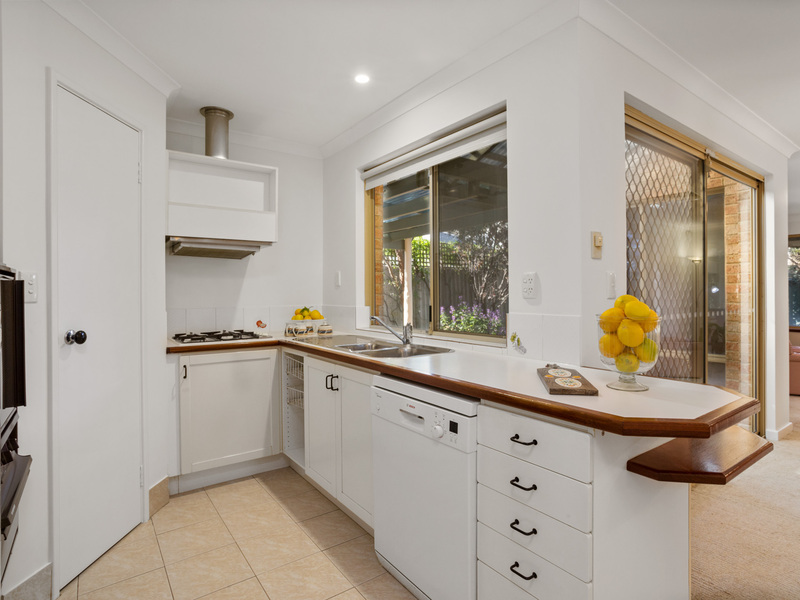 The kitchen is original and includes a walk in pantry, it commands an outlook over the outside entertaining area and dining area as well as access to a large separate laundry. 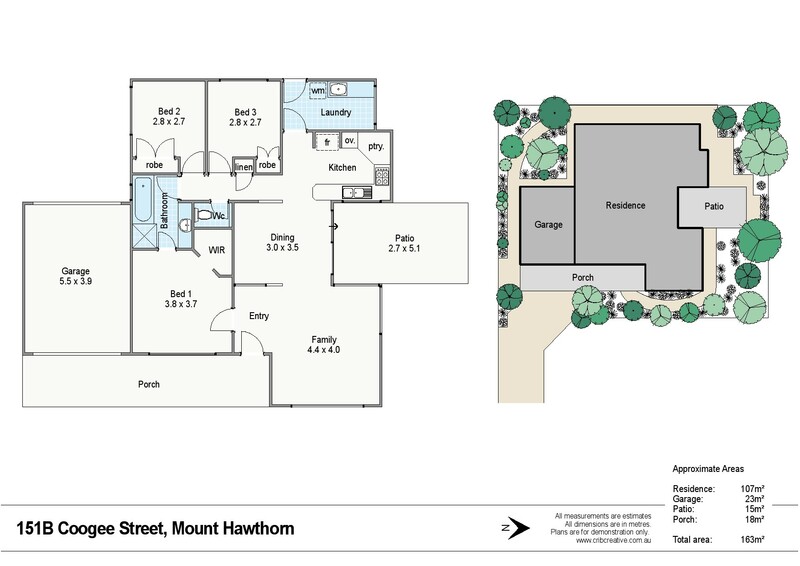 The layout is for easy, sociable, living as all the areas are connected and surrounded by large windows, bringing the outside in year round. 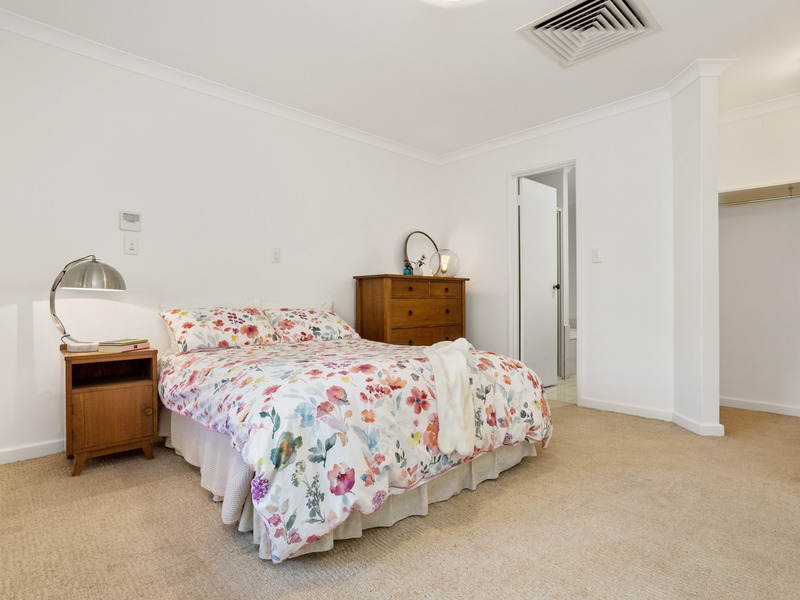 Offering three bedrooms, the second and third bedrooms have good storage with built in robes. 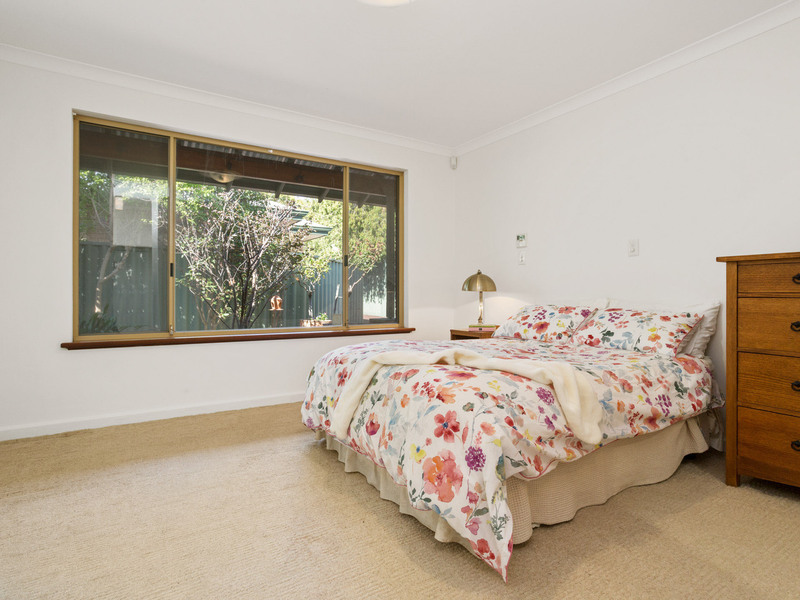 The master bedroom is spacious and has a walk in robe for more storage. 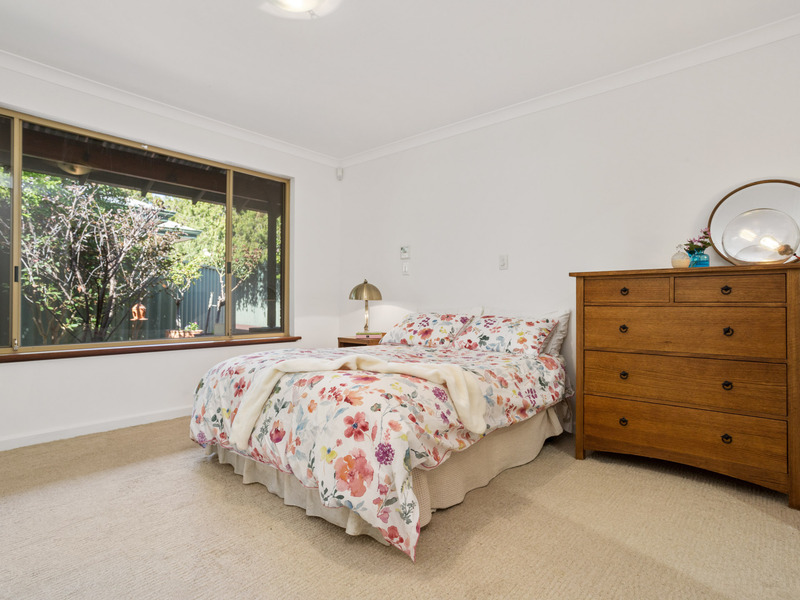 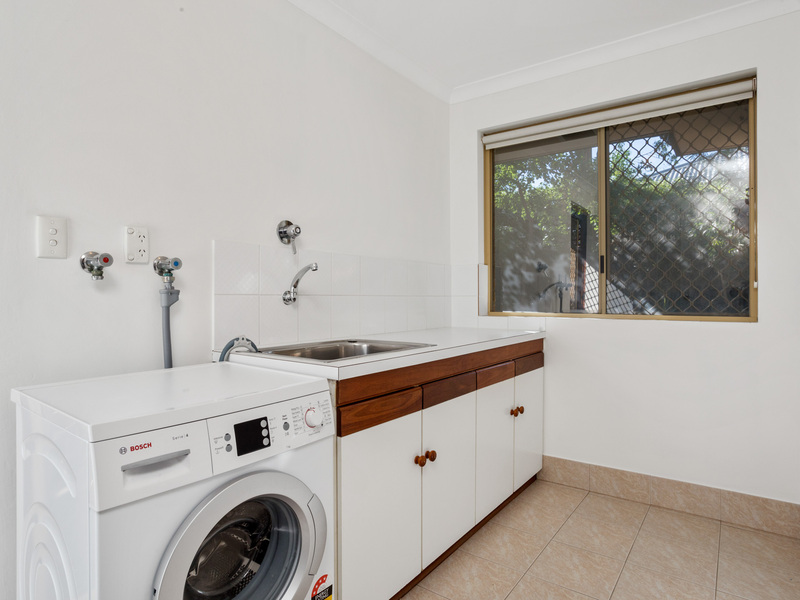 All three bedrooms have good sized windows and ducted reverse cycle air conditioning for comfort. 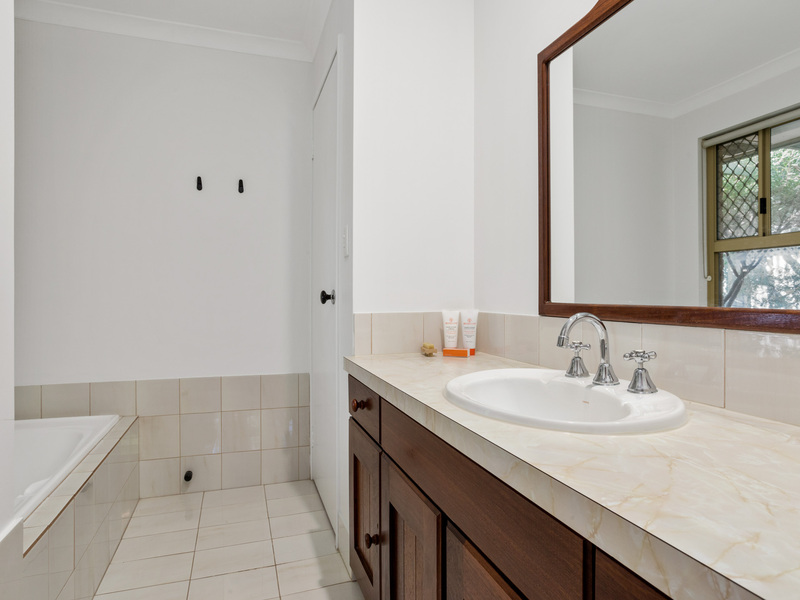 The bathroom is also a semi ensuite to the master. 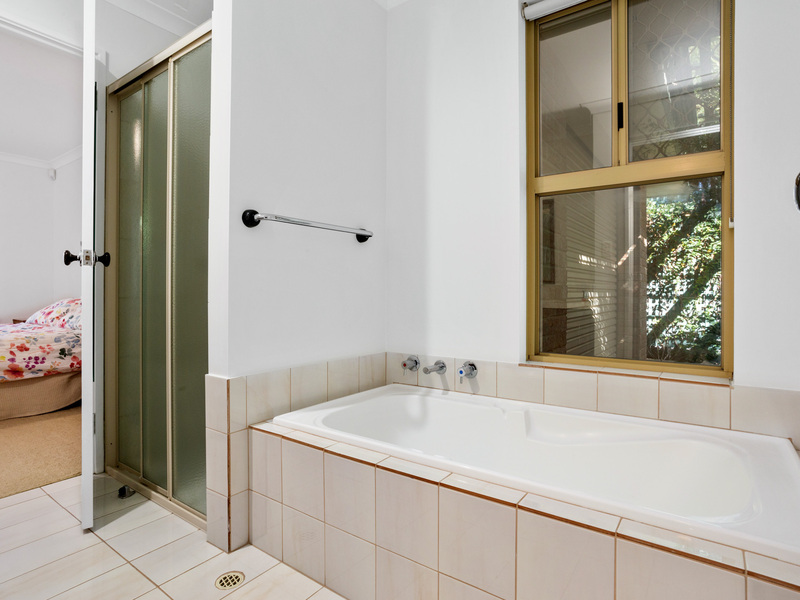 It includes a bath which has a window overlooking a quite area of garden, there is a separate shower and the vanity is spacious. 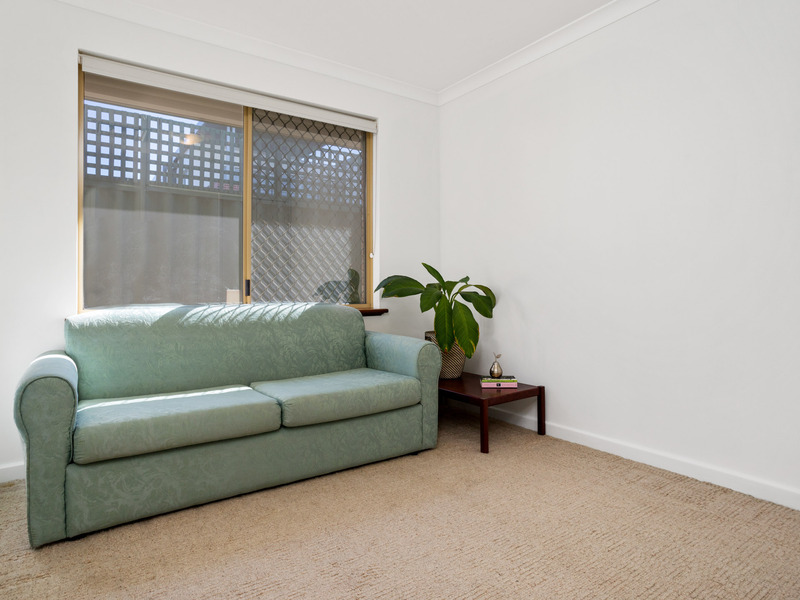 The home is well loved and welcoming, and has recently been painted. 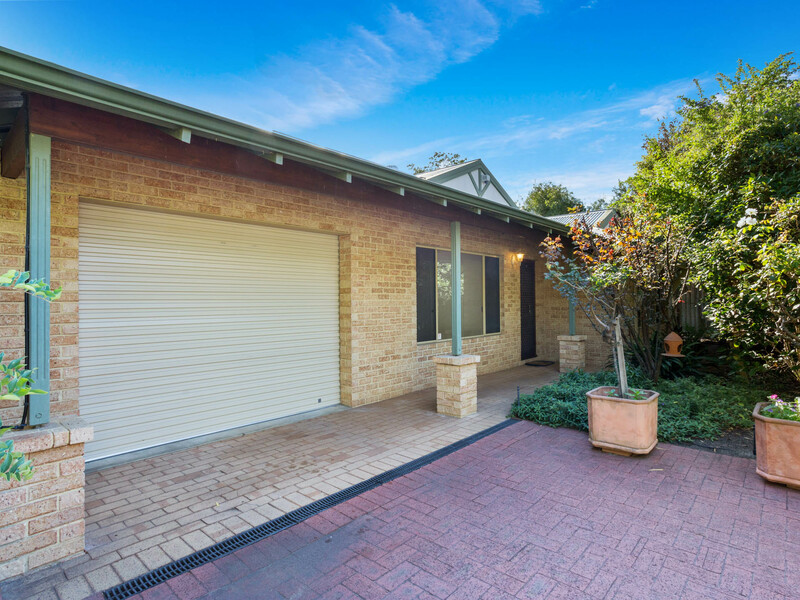 it has ducted reverse cycle air conditioning throughout, garage parking and offers a fantastic lifestyle. 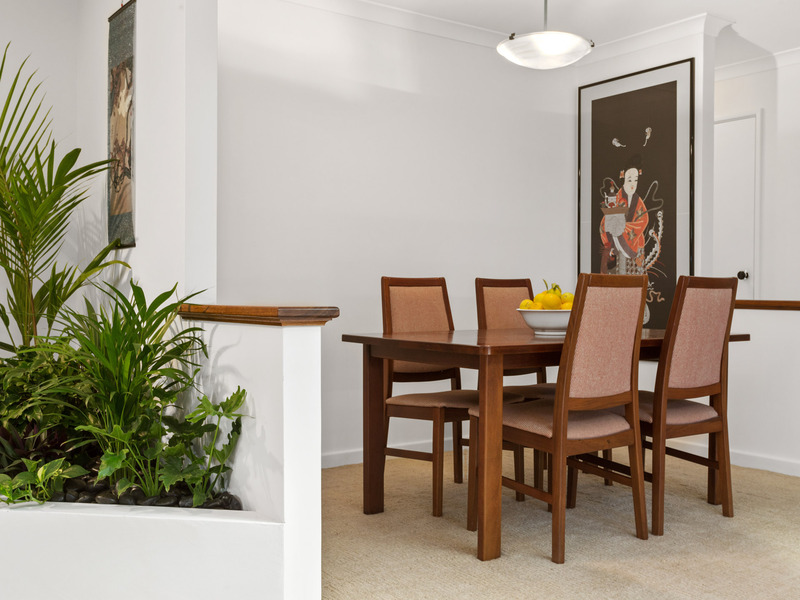 Located in a popular spot, you could easily walk to the Mount Hawthorn Cafe Strip which is famous for its fantastic cafes, shopping and amenities including the well known nature playground at Braithwaite Park. 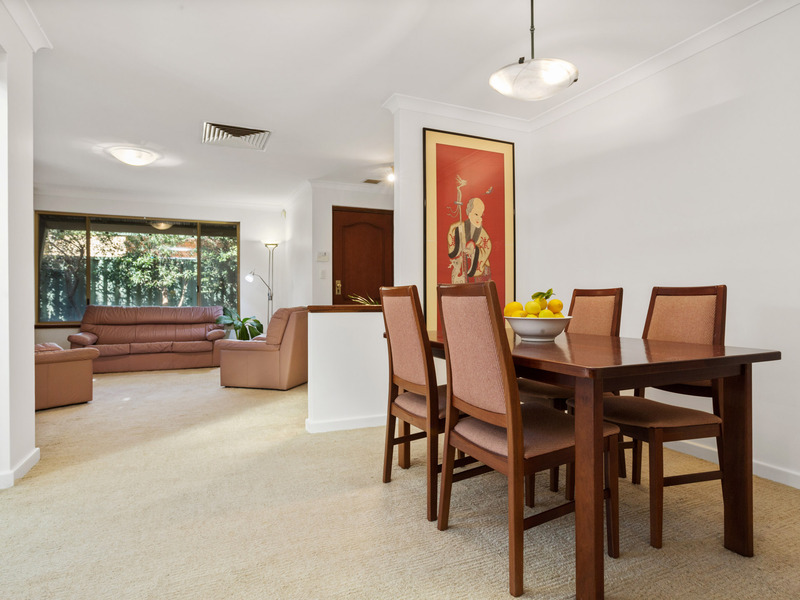 As well as being close to the freeway and other main roads, public transport is almost on your doorstep. 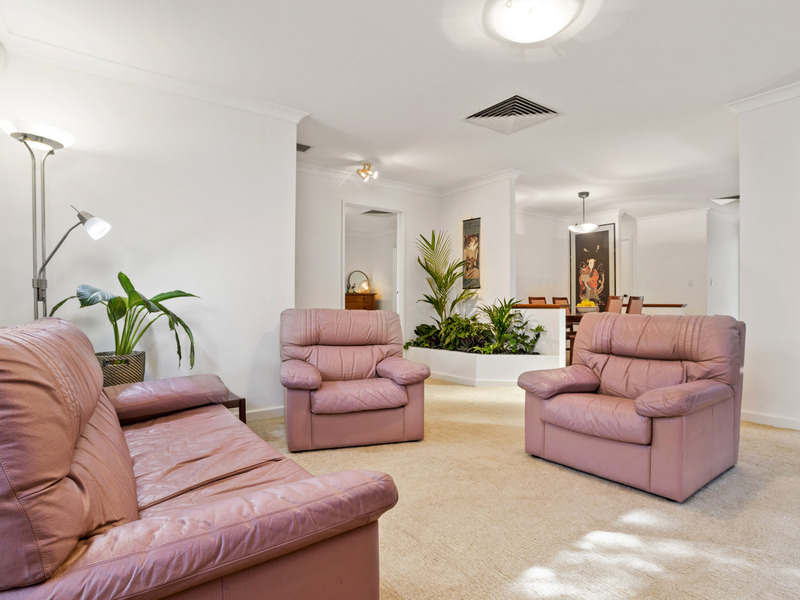 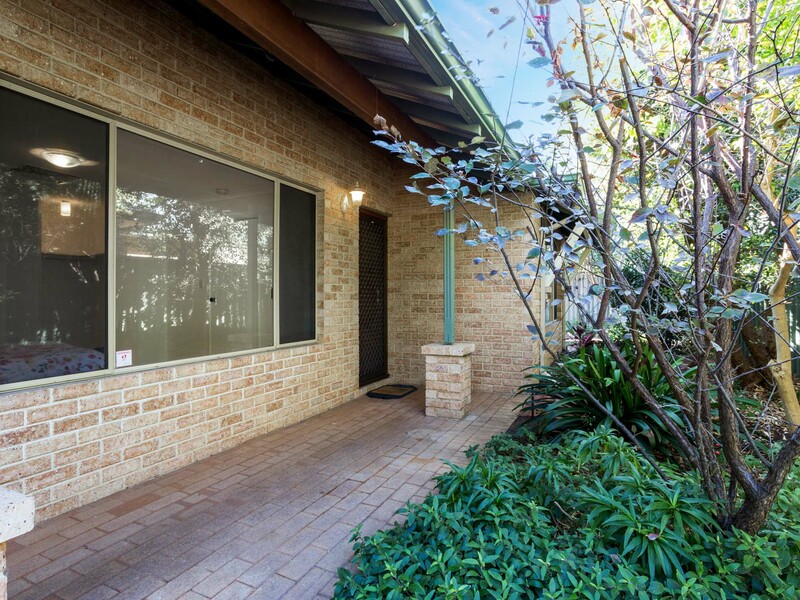 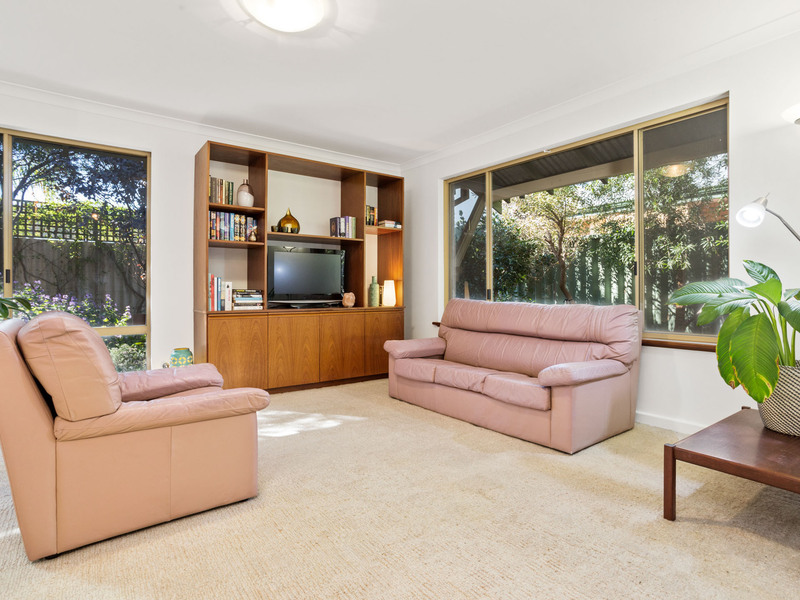 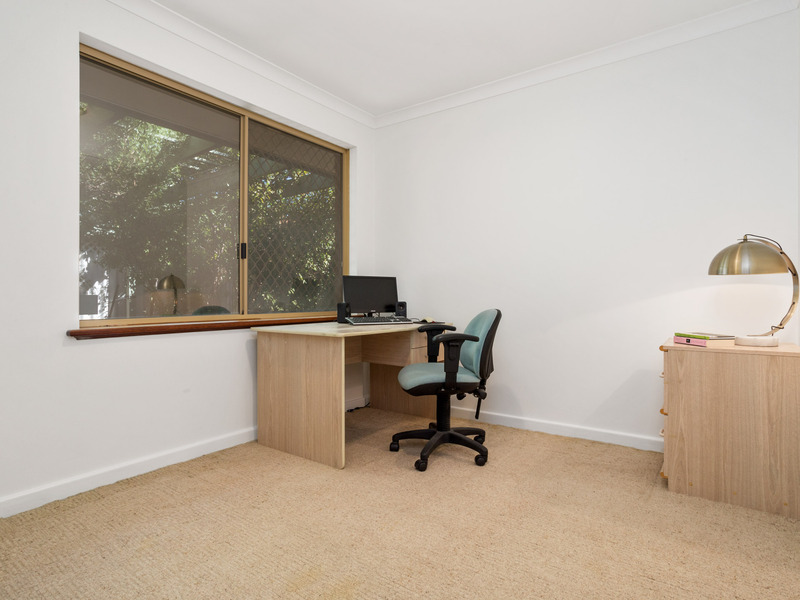 You would be situated minutes from anything Perth has to offer, as well as in a great catchment zone for schooling. 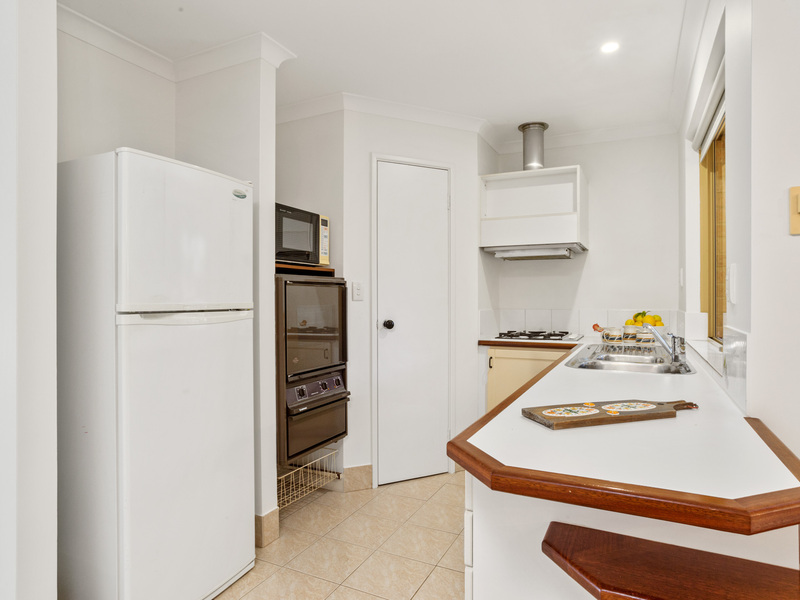 Ideal for the down sizer, singles, a young family or first home buyer, in fact anybody wanting a manageable home on its own block. 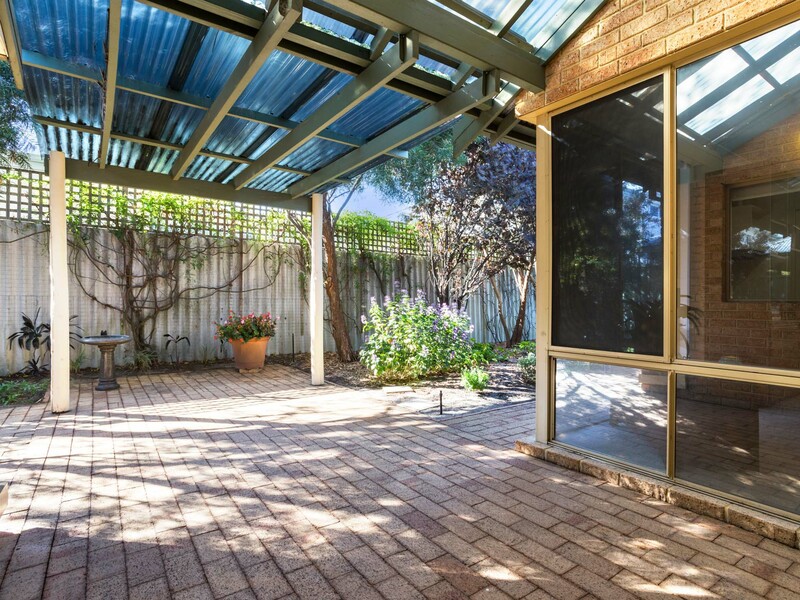 A rarity in Mount Hawthorn, this property can't last.